Στις τιμές συμπεριλαμβάνονται τα μεταφορικά και η εγκατάσταση! capabilities, and longer battery life. Contact us for any additional info Here. Αντιδραστήριο θρομβοπλαστίνης σε υγρή μορφή έτοιμο προς χρήση. Κατάλληλο για τον προσδιορισμό του χρόνου προθροομβίνης. Μπορεί να χρησιμοποιηθεί σε αναλυτές προσδιορισμού παραγόντων πήξης ή με χειροκίνητη μέθοδο. 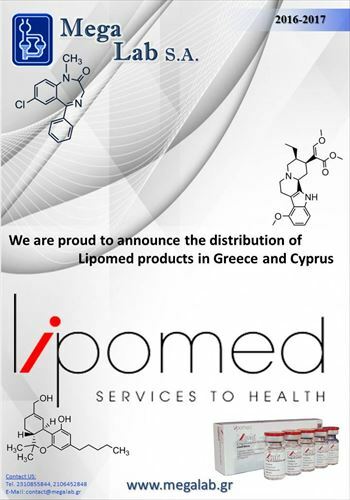 Διατίθεται σε συσκευασίες: 8Χ5ml (1 kit), 4Χ5ml (1/2 kit) και 2X5ml (1/4 kit). •Απαιτείται ανάμιξη ή ανασύσταση της ΘΡΟΜΒΟΠΛΑΣΤΙΝΗΣ με χλωριούχο ασβέστιο ή άλλο διάλυμα ανασύστασης για να δημιουργηθεί το αντιδραστήριο εργασίας •Δεν απαιτείται πλέον ανασύσταση του αντιδραστηρίου καθώς έρχεται έτοιμο προς χρήση! Έτσι εξοικονομείται χρόνος και διασφαλίζεται η άριστη και σταθερή ποιότητα του αντιδραστηρίου σας. •Μέχρι την ημερομηνία λήξης της συσκευασίας για τα αντιδραστήρια, που δεν έχουν ανοιχθεί. •Για τα αντιδραστήρια που είναι σε σκόνη, γίνεται χρήση όλης της ποσότητας του αντιδραστηρίου είτε χρησιμοποιηθεί είτε όχι. • Thromboplastin L (Helena) à 60 ημέρες! •Μέχρι την ημομηνία λήξης για τα αντιδραστήρια που δεν έχουν ανοιχθεί. 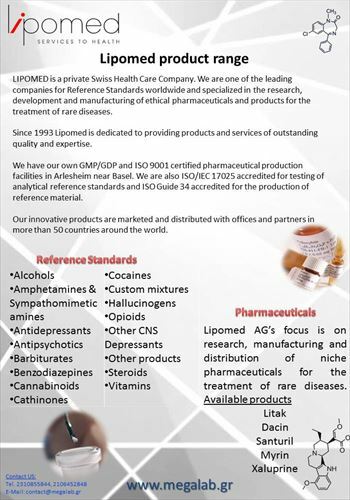 We are here to bring you the best and most innovative solutions for your microbiology lab! Επικοινωνήστε μαζί μασ για περισσότερες πληροφορίες. The Hiden HPR-40 DSA mass spectrometer systems are engineered specifically for monitoring dissolved gaseous content in aqueous solutions. All systems feature a media interface with semi-permeable membrane to enrich the transition of gases and vapours and simultaneously inhibit the transfer of water vapour. Applications include diverse areas of microbiological study including fermentation culture analysis, biofuel research, methane generation, soil core sampling, seawater and freshwater evaluation. The systems enable real-time monitoring of dissolved gaseous species in bioreactor operation and in evolved fermenter off gas, including continuous measurement of CO2, O2, N2, organic vapours. Interface types include slim immersion probes for static media and circular flow through membrane carriers for flowing media, with choice of membrane and membrane area to optimise sensitivity for specific gaseous species. 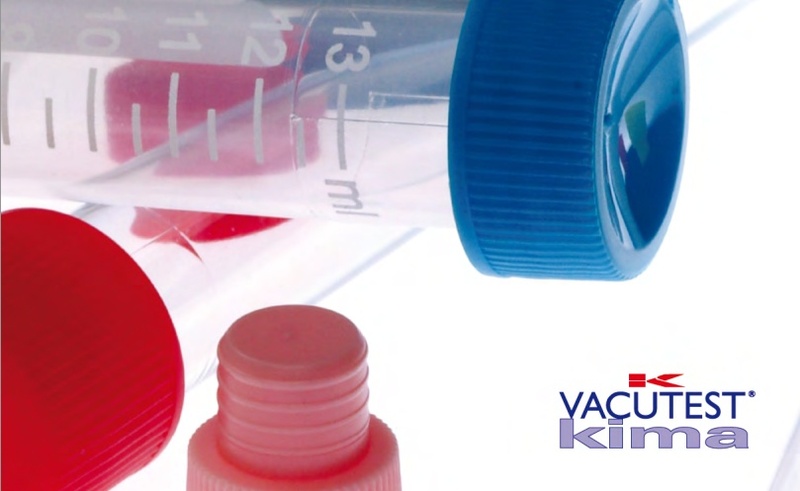 For photo-responsive studies, cuvette-style vessels are available with integral agitation and capacities ranging from 2mL to 500mL. Our most recent additions are the range of DEMS cells for real-time electrochemical reaction studies. Systems can be process integrated to enable monitoring and control of media parameters including temperature and media flow rate. Multiple probes can be configured to enable automated stream sequencing for process laboratory multi-stream monitoring. 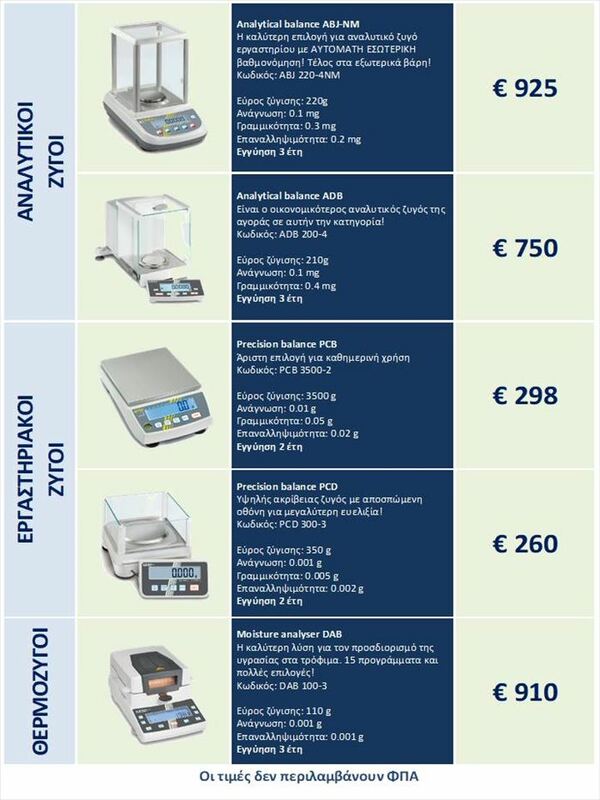 For further information on all Hiden Analytical products contact Hiden Analytical at contact@megalab.gr or visit the main website at www.HidenAnalytical.com. The mass spectrometric analysis of the ionised and chemically unstable reactive species generated in flame and high-pressure plasma environments requires their rapid transit through vacuum through to the mass spectrometer with minimal interaction. The Hiden HPR-60 system is a research tool designed specifically for these analyses at process pressures from sub-atmospheric through to 10 bar. Multiple ultra high vacuum(UHV) stages with independent turbomolecular vacuum pumping are separated by coned diaphragms each with a central orifice, all precisely aligned to enable the unhindered transmission of the sampled beam through to the mass spectrometer probe for analysis. The mass spectrometer is the Hiden EQP Mass/Energy analyser measuring mass and energy of both positive and negative ions, with the on-board electron bombardment ion source providing analysis of neutrals. A mechanical beam chopper enhances detection levels for neutrals by modulating the beam, data acquisition then being gated to enable direct comparison of beam-on/beam off intensities for subtraction of background elements. 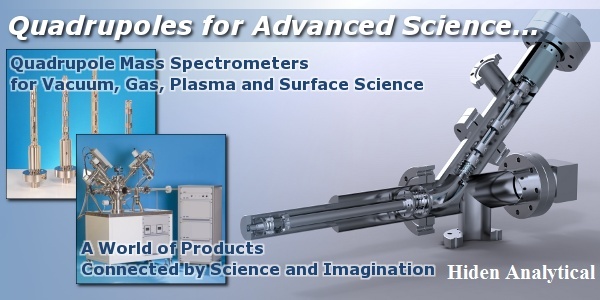 Systems provide detailed analysis of plasma and flame chemistry together with reaction kinetics and confirmation of gas-phase intermediate species. A custom design service is available to assist with specific user interface requirements. The Hiden EQP Plasma Diagnostic with on-board MCA. The Hiden EQP plasma diagnostic system is a pure research tool specifically derived and enhanced for the plasma researcher, providing mass and energy analysis of both positive and negative process ions together with measurement of neutral species. The MASsoft operating program now features the new integral and innovative 6000-bin multichannel scalar function with timing resolution of just 50 nanoseconds and is suited to a diverse range of pulsed plasma studies, operating in conjunction with the MASsoft integral on-board timers with realtime gating control of both ‘gate open/close’ and ‘gate increment’ periodicity. 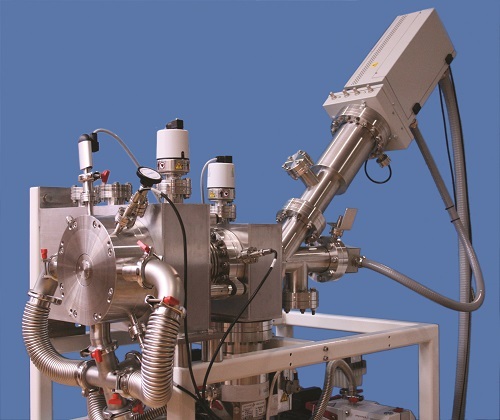 The differentially pumped system is developed around the Hiden high-performance triple-filter quadrupole mass spectrometer and includes a 45 degree sector energy analyser, electron bombardment ioniser and pulse ion counting detector. The system multiple scan concept enables scanning of all individual control parameters to determine the relationship of ion mass, ion energy and time, enabling the auto-tune setup function to automatically optimise control parameters to match the specific operating environment. Systems are offered with a choice of single, double or triple stage differential pumping to address plasma process pressure environments from millibar up to 5 bar. For further information on this or other Hiden products please contact Hiden Analytical at info@hiden.co.uk or visit the main website at: www.HidenAnalytical.com.